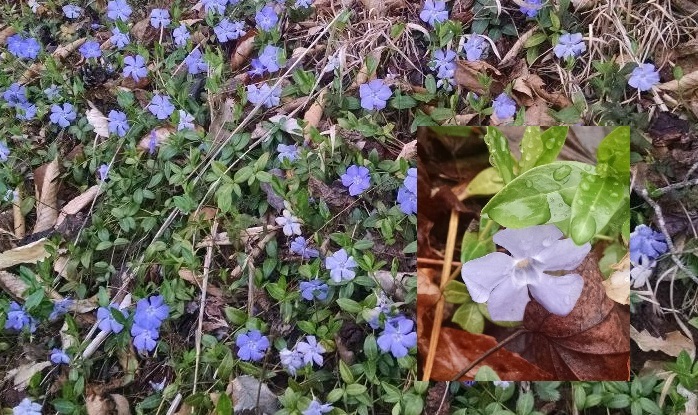 Your blog made me want to go check OUR periwinkle! My elderly neighbor once told me it would always travel north. True or not, these old timers are often correct in their predictions…& she was always knowledgeable about plants, often sharing and dividing her lilies of the valley or peonies with me. I miss her! I remember one year on this day Elkin got 8 inches of snow! I remember it because our garden club had taken a trip to Nachez, MS and it snowed there also. This week at the beach it has been unseasonably cold there too – one evening we opened the door to see penny sized hail. But this is still my favorite season (I think) with the daffodils and camellias blooming, and the peonies sending up their shoots. Surely the warm weather will follow. You’re right, so many things that the “old timers” say that just seem like old sayings end up having a lot of truth to them. I think it comes from years and years of experience, and things being passed down from generation to generation. When we moved out to Statesville from Atlanta when I was in middle school, my dad really wanted to grow a vegetable garden. One of the women in the church told him not to plant anything until the oak leaves were as big as a squirrel’s ear. When I started writing for Carolina Gardener and learned about last frost dates and all that, I started paying attention, and right around April 15, when it’s “safe” to plant here, is exactly when oak leaves are as big as a squirrel’s ear. There’s still a chance of snow in the forecast, but hopefully it’s the last time for this year!